The event that the whole Webiz story began. Webiz conference today is one of the most massive events of this type in both Serbia and the region. In 2018, the conference marked a record number of visitors – 1,350 through four days, as well as a two-track lecture program, workshops and over fifty lecturers who came from seven European countries. A relaxed atmosphere, a craft beer and a delicious bench served as an excellent introduction to the Webiz Conference, which was held last Thursday in the Dogma Brewery Tap Room in Belgrade. 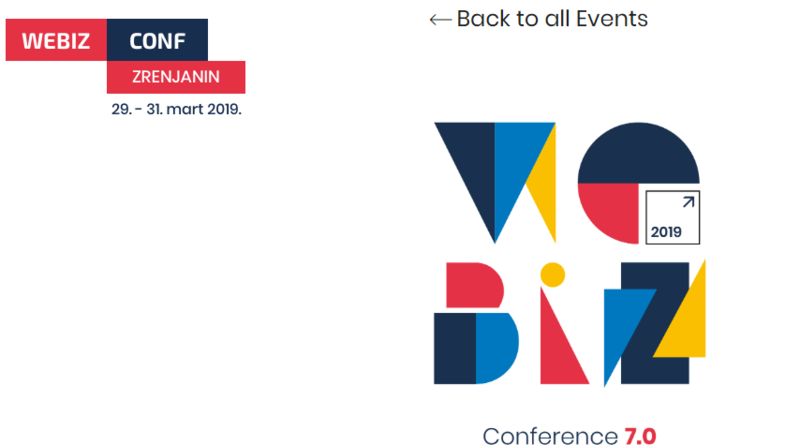 In the presence of Webiz’s friends, partners, media representatives and lecturers, the dates for the Webiz Conference and the accompanying Webiz E-commerce education will take place from March 22 to 25at a well-known place in the Zrenjanin Hotel Vojvodina. The promotion itself looked somewhat different than in previous years, and the audience was first able to attend a segment called Webiz Talks. Through discussions with Vuk Kosovac from Societe Generale Bank and Stefan Solom from Infostud, interview moderator Aleksandra Petrovski tried to find out what stories they are behind successful businesses, in an effort to bring the audience closer to the people who run these companies.